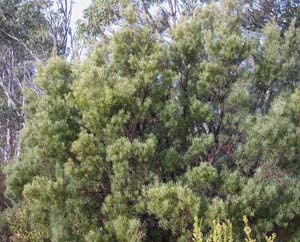 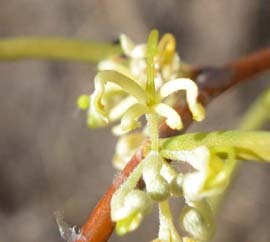 Hakea epiglottis is a common upright shrub that occurs peaty heaths through much of Tasmania. 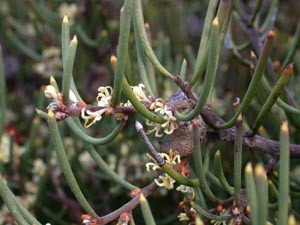 It is almost indistinguishable from H. megadenia, with which it sometimes co-occurs. 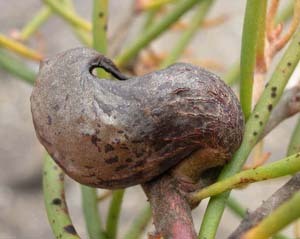 The fruit of these species is curved into a distinct S-shape.